The mixed messages were characteristic of Trump’s whiplash week, in which he toggled between calls for national unity and partisan attacks on the news media. Authorities say they found Sayoc’s fingerprint on one of the suspicious packages and possibly his DNA inside two others. Hours later, though, Trump was back on the partisan warpath, campaigning against “extreme” and “radical” Democrats, and denouncing the news media for suggesting he’s contributed to a hostile climate in the country. “We have seen an effort by the media in recent hours to use the sinister actions of one individual to score political points against me” and the Republican party, Trump told supporters in Charlotte, N.C. While Sayoc appears to be a Trump supporter and the packages were addressed to people the president has criticized or who have criticized the president, FBI Director Christopher Wray said it’s premature to speculate on a possible motive. 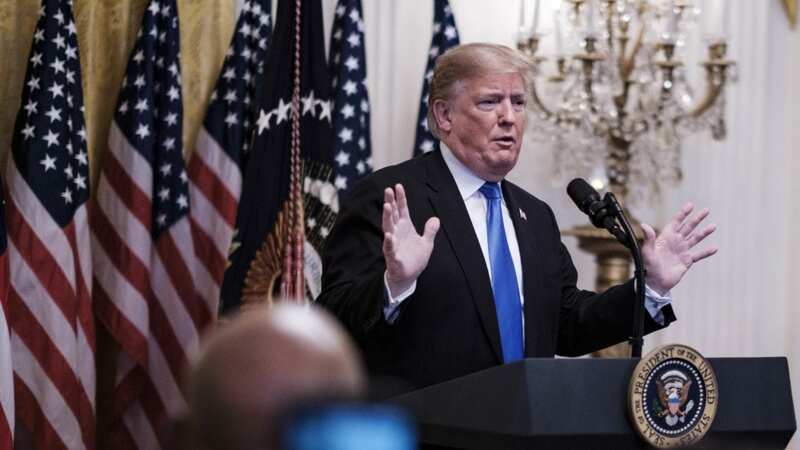 “Republicans are doing so well in early voting, and at the polls, and now this ‘Bomb’ stuff happens and the momentum greatly slows,” Trump tweeted, putting “bomb” in quotation marks. “Though we’re still analyzing the devices in our laboratory, these are not hoax devices,” Wray told reporters.